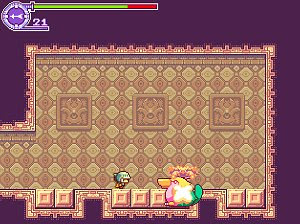 Hydra Castle Labyrinth isn’t the first title mixing platformer and RPG elements; many other free PC games tried the same formula with some degree of success. This is also a game with a retro-style, perfect for those who can’t get enough of their NES role-playing games. Hydra Castle Labyrinth offers 8 dungeons to explore and is more focused on exploration and combat than in RPG, something clear by the little text in display. The player starts as a weak adventurer with a puny sword but soon he’ll be able to use more powerful weapons such as arrows and axes to defeat the enemies, including bosses. A nice retro-distraction.